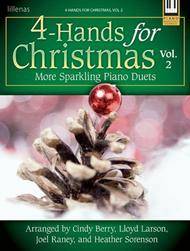 Share the joy of the season with a partner this Christmas! 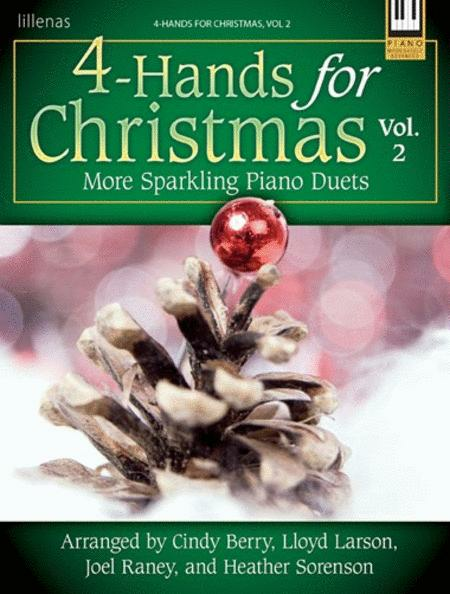 Like the beloved first volume, "4-Hands for Christmas, Volume 2" combines the talents of four well-known arrangers with timeless carols to delight pianists around the globe. Meeting the needs of a variety of moods from serene to celebratory, this collection will brighten your holiday services and programs. These pieces seem to be graded correctly for difficulty. Intermediate-Advanced. The arrangements are nicely put together without too many key changes, etc.